The following advertisement below is from the January 1952 issue of Connecticut Circle magazine. 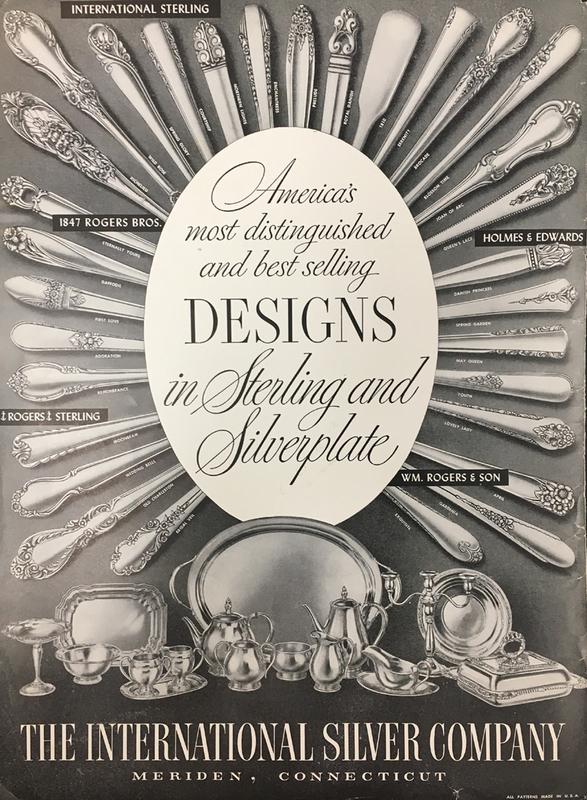 It shows the following flatware patterns sold via the International Silver Company’s various divisions and trademark names including: (anchor) Rogers (anchor) sterling, 1847 Rogers Bros., International Sterling, Holmes & Edwards and Wm. Rogers & Son. This original advertment is a clipping in the Meriden Public Library offline file "Meriden - International Silver Company". Click the links above to see more historical documentation concerning the companies.